Tottenham appear to be scouring the Eredivisie again as they join West Ham and Bournemouth in the race for PSV starlet Steven Bergwijn. That’s according to the Mirror, who report that the 20-year-old is under contract with his current club until 2021. Spurs have a number of first teamers who learned their trade in the Dutch league, including former Ajax men Jan Vertonghen, Toby Alderweireld, Christian Eriksen, and Davinson Sanchez. Vincent Janssen may not have excelled in English football, but Bergwijn is already being talked about as one of the Netherlands’ future stars. The midfielder is expected to receive his first international cap soon, having played for Holland’s under-21s, as they look to the future after missing out on the 2018 World Cup in Russia. 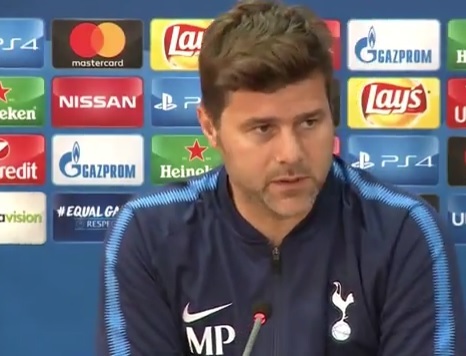 While it’s unlikely he’d go straight into Mauricio Pochettino’s XI if he were to arrive in north London, he can play on either flank and Spurs have lacked width at times in the early stages of the season, particularly on the larger pitches of Wembley.